big daddy.. he wasn’t an alabama football coach.. so who is he? john “big daddy” bishop is the daddy of arguably the greatest BBQ joint in the country, dreamland bar-b-que. 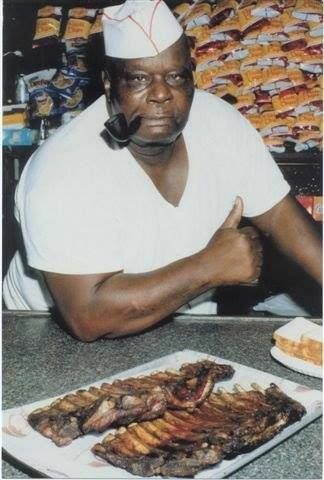 what a boss… this man knew how to smoke some ribs, let me tell you. the tenderness, the smoked flavor, and the sauce, dreamland bbq is the bbq to beat. 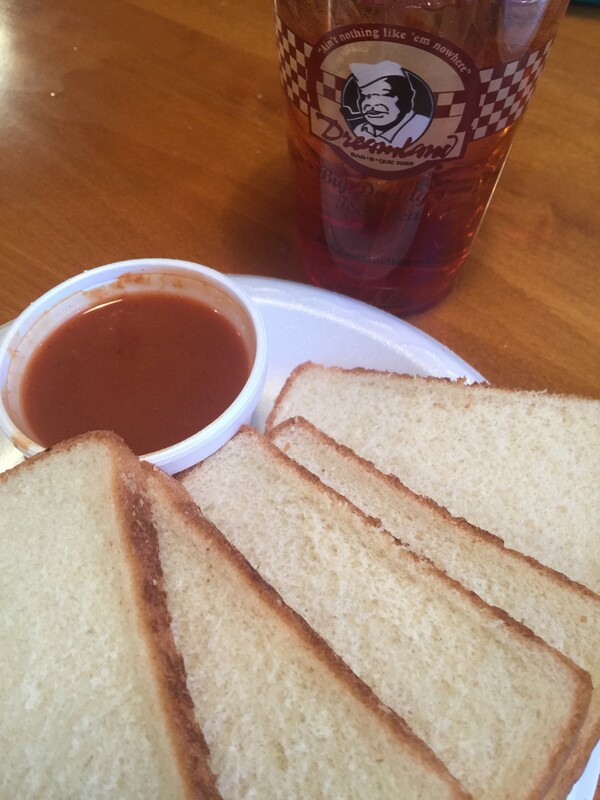 when you sit down, you are greeted by a friendly face and a plate of white bread and a cup of sauce. the first time it appeared in front of me, i chuckled thinking, “Why on earth is there a plate of wonder bread and bbq sauce on my table”. my oh my, was i being a snob. this bread/sauce combo is simply one of the best things you will ever eat. simple and delicious is what dreamland is all about. “did you save room for some banana puddin’?” asks our waitress. what is a trip to dreamland without a cup of puddin’? 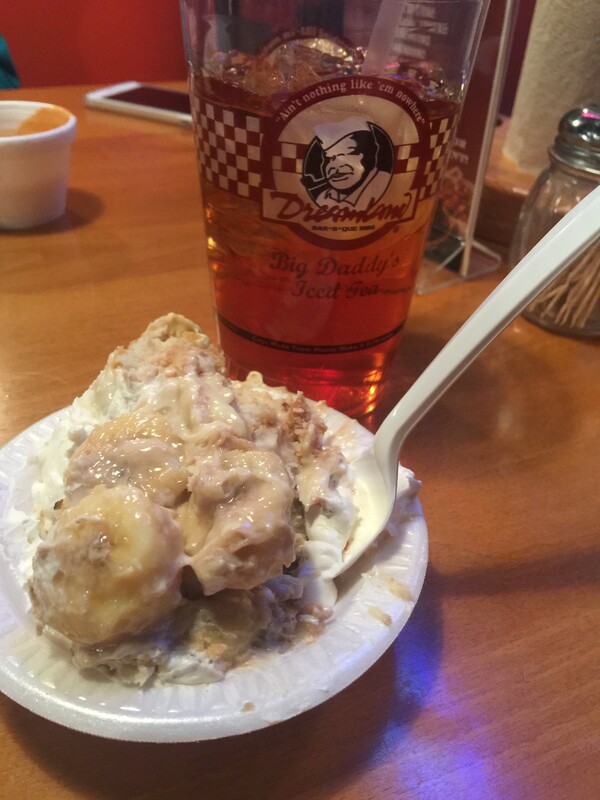 this banana puddin’ is basically what i want to have for my last meal on earth. it’s perfectly sweet and not overbearingly banana. the light, fluffy consistency of the puddin’ makes me feel like I’m walking on sunshine. so, next time you are in tuscaloosa, make sure to drop in and grab a slab and a cup of puddin’. you won’t regret it. *dreamland has other franchises around the south! check out their website to find a location near you.